With Sanjay Leela Bhansali at the helm, we imagined that the historical tale of Padmavati would come to life with color, power, drama, romance, splendour, gorgeous music, incredible dance and much more. The trailer certainly lived up to this and now we have seen the first song and we just are awestruck! Featuring Deepika Padukone, the song sequence showcases the challenging dance form Ghoomar. Ghoomar is a traditional dance form of Rajput women and involves twirling in circles, leaving the onlookers enchanted and mesmerized by the beautiful dance performance. An extremely difficult performance art that takes years to learn, Deepika had to pick up the steps within a matter of days. Deepika learned the dance form under the tutelage of renowned Ghoomar expert Jyothi D Tommaar, assistant director of the only authentic Ghoomar academy. For this epic, director Sanjay Leela Bhansali left no stone unturned in making Ghoomar the most riveting song sequence ever shot. Choreographed by Kruti Mahesh Midya, Ghoomar was shot keeping true to the traditional Rajputana folk dance form with myriad of gracefulness and royal poise. Sources reveal that Deepika did over 66 twirls while shooting for the song. Adding to the difficult dance form that includes twists and twirls, Deepika had to do the dance in an extravagant costume and adorned in heavy jewelry, which is another incredible challenge. Check out the glory of her dance and the incredible music by the maestro Sanjay Leela Bhansal sung by the ever brilliant Shreya Ghosal as well as amazing vocals by Swaroop Khan. 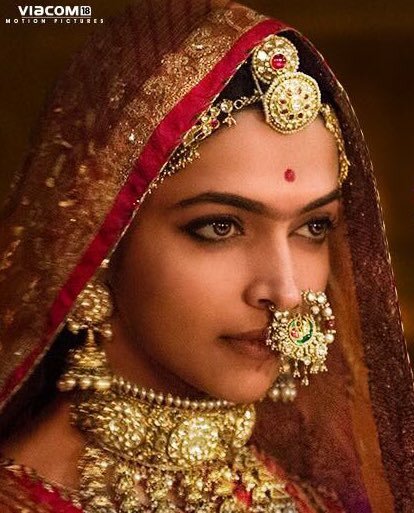 Set in the 14th century, Padmavati stars Deepika Padukone as the legendary Rajput queen from the kingdom of Chittor, Rani Padmini. Shahid Kapoor portrays the role of her husband, Maharawal Ratan Singh, and probably the most daring of them all, the invader Sultan Alauddin Khilji, essayed with sheer ferocity by Ranveer Singh. The film also stars Jim Sarbh and Aditi Rao Hydari. Viacom18 Motion Pictures and Sanjay Leela Bhansali’s ‘Padmavati’ is all set for a worldwide release on the 1st December 2017.